Congleton Creative have moved into a new home! The Electric Picture House Artists Cooperative has moved premises to Spindle Mill, Spindle Street, Congleton, CW12 1QN. This is due to the fact that the original Electric Picture House is under offer from a developer. Our new premises is much more fit for purpose, with fantastic natural light, no leaks and above all warmth! To introduce you all to our new studios and gallery we are holding a Grand Opening on Friday 15th March from 6 pm – 9 pm so come and join us to see fantastic art from our resident artists old and new. During February half term we held a series of kids’ art workshops which were extremely well attended, in fact we had to turn people away as all the spaces were filled. The kids absolutely loved the activities and seemed to concentrate more in our new gallery. We also held a meeting for the Cultural Forum earlier on in the year which was attended by a plethora of cultural representatives from Cheshire. This enabled us to keep in contact with other creatives from The Arts and continue to promote Congleton as a cultural venue. Last weekend saw us take part in Unplugged, again a very successful weekend of music. 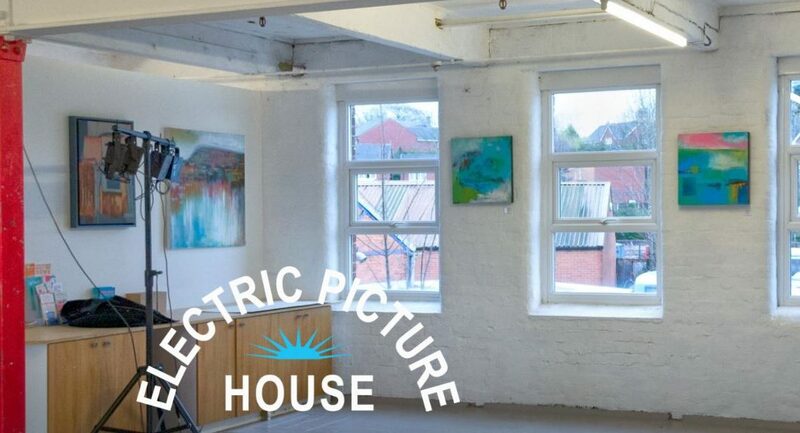 The Electric Picture House Artists Cooperative’s reputation continues to grow both locally and nationally, with many enquiries from various quarters about workshops, artists’ work, commissioned by clients and invitations to take part in exhibitions outside the area. In the immediate future, we will once again be giving children the opportunity to create their own theatre production with Hidden Talents and holding a day of theatre on May 11th. We have a professional performance in the evening called Unmythable about the Greek myths which promises to be exciting. We hope to see you on Friday 15th March at our Grand Opening. Adult Play Area at Quinta Park, Ullswater Rd.